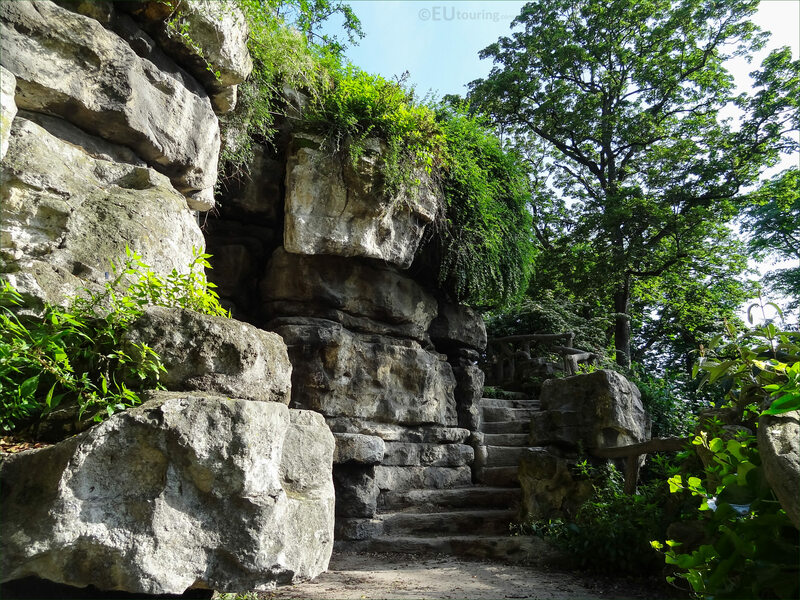 The Jardins du Trocadero have some very unusual features that many people do not even know about including the stone steps on a path around a rocky wall and outcrop. 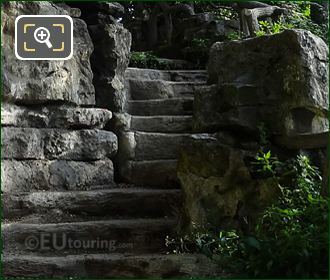 The area where you can find the Jardins du Trocadero was named after the Battle of Trocadero between France and Spain, which is located on a hill that was originally old mining quarries, and this first HD photo shows some of the rocks and stone steps in the lower part of the garden on the south westerly side. 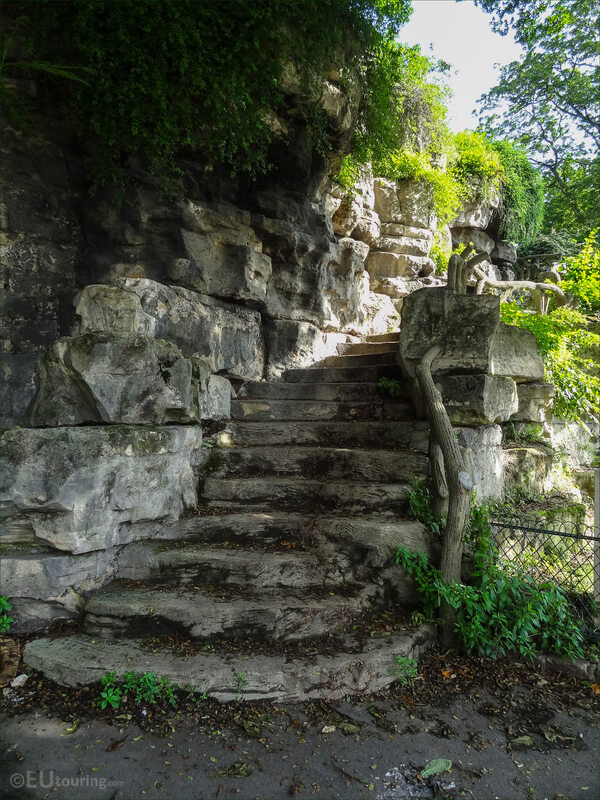 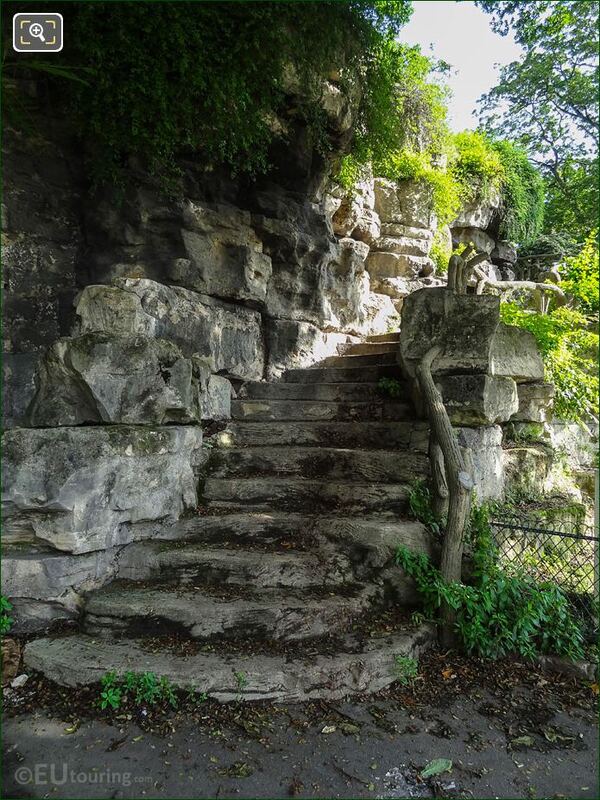 Now this particular rocky outcrop was once part of the original quarry site, and the stone steps lead you up to an elevated position where you can see over a part of the Trocadero Gardens, which is located by the Rue le Tasse and the Avenue des Nations Unies. 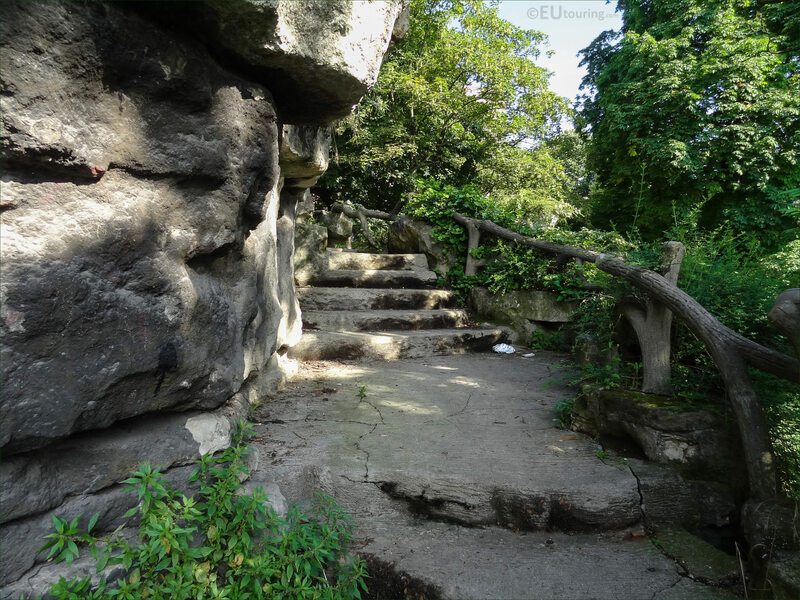 Like a small cliff face, here you can see a second set of stone steps on an upper part of this unusual feature within the Jardins du Trocadero, and as you can tell, there was a wooden railing made from old logs, yet if you are unsteady or have a fear of heights, then you probably would not want to get too near the edge of the pathway.